Salisbury, MD USA – When Alfred “AJ” Dawson, a 29 year old black music teacher volunteered to work for the Allison Galbraith for Congress campaign in Salisbury, MD, he never anticipated the heinous and traumatizing incident that would occur four days prior to the Maryland primary election the night of June 22, 2018. After months of waiting, AJ Dawson is scheduled to appear at the Wicomico County District Court on Tuesday, September 25. Without proper context, AJ Dawson’s traumatic experience can be misinterpreted, so a few prior events must be stated in order to understand the reasons for this incident in the most holistic way possible. During the years of 2011 and 2012, AJ Dawson was previously arrested for possession of marijuana three times, and consequently convicted and served 30 days in the Collin County Jail in McKinney, Texas. When the pro-cannabis Amendment 64 passed in Colorado in November 2012, AJ Dawson saw this as an opportunity to gain liberties not available in Texas and hopefully escape the punishment that he had been previously subjected to by police for being a cannabis user with dreadlocks. Fortunately, AJ Dawson was able to begin an new happy life with family when he moved to Colorado in June of 2013. In July of 2015, the murky events surrounding the death of Sandra Bland in the Waller County Jail in Waller, Texas were broadcast nationally. One of the most controversial aspects of Bland’s death in police custody was the possibility of police mistreatment. Shortly after Bland’s traffic stop, a healthy 28 year old woman was dead and no one to this day has been held accountable beyond a cash settlement with her family. Bland’s death in the hands of the police deeply affected AJ Dawson who was close friends and played trombone with her in the Prairie View A&M University’s “Marching Storm” from 2006-2008. As college friends often do, they shared ideas about how to change and improve black culture in America. The unexplained death of Bland traumatized AJ Dawson and many in the black community to not trust police. And since her death, coming in proximity with police still triggers intense anxiety, panic attacks, and elevated levels of fear in AJ Dawson. At approximately 11 PM on Friday, June 22, 2018, AJ Dawson was the passenger in a vehicle with Maryland Marijuana Justice (“MDMJ”) co-founder, Kris Furnish on the way to Taco Bell, in Salisbury, MD. At the intersection of Ohio Avenue and Waverly Drive, Kris was alerted by the flashing lights of the police car to pull over, which she did at the nearby Wawa gas station. The first thing the officer stated when he approached the car was that they were being pulled over because the car was past the white line at the stop sign, which Ms. Furnish disputes happened. The story of Sandra Bland caused AJ Dawson to immediately start video recording the incident with his phone. A portion of this video is being released online with this release (see below). Next, the officer asked for identification and they both complied. At this point, the traffic stop was natural and routine until the officer stated, “Now when I pulled up, I smelled a hint of marijuana, which gives me probable cause to search the vehicle.” Ms. Furnish responded, “It must be my vape you’re smelling, there’s no THC in it”. Within a minute of the first officer’s statement, there were 10 other officers at the scene. The strangest and most interesting part of this incident comes next, and it must be stated that Kris Furnish, is a 5’4″ caucasian female, and AJ Dawson is a 6’3″ black male, approx 170 lbs. Both have long dreadlocks and both refused to have the vehicle searched when the initial officer asked them to exit the car for a search. The following events can only be seen as a blatant act of racism. 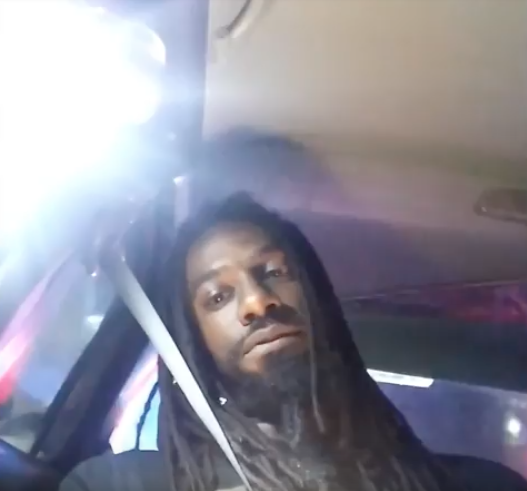 Two officers on the passenger side of the vehicle immediately grabbed AJ Dawson’s phone, dreadlocks and legs, without even giving him a chance to remove his seatbelt. The officers dragged AJ Dawson out of the car, slammed him on the ground, and caused him enough bodily harm that he had to be hospitalized. After the hospital clean his wounds on his legs, arms, and left eye, AJ Dawson was immediately taken to the Wicomico County District Court, where bond set at $3,000 and had to be raised by friends while AJ Dawson spent most of the weekend in jail. AJ Dawson was charged with resisting arrest, assaulting a police officer, and possession of marijuana. Ms. Furnish, a Maryland medical marijuana card holder, whose medical cannabis the police confiscated and charged AJ Dawson with possessing, was briefly handcuffed but ultimately given a warning by the initial police officer and released., Unfortunately could not start her car to leave the gas station and none of the police officers at the scene assisted Kris in trying to jump start her car. AJ Dawson has filed a complaint with the Salisbury Police Department (“SPD”) and on Wednesday, September 19, 2018, Ms. Furnish provided her statement concerning the incident to the SPD. AJ Dawson’s initial court appearance is scheduled to take place at 8:30am Tuesday, September 25 at the Wicomico County District Courthouse in Room #2. AJ Dawson will be available to the media prior to and after his court appearance. 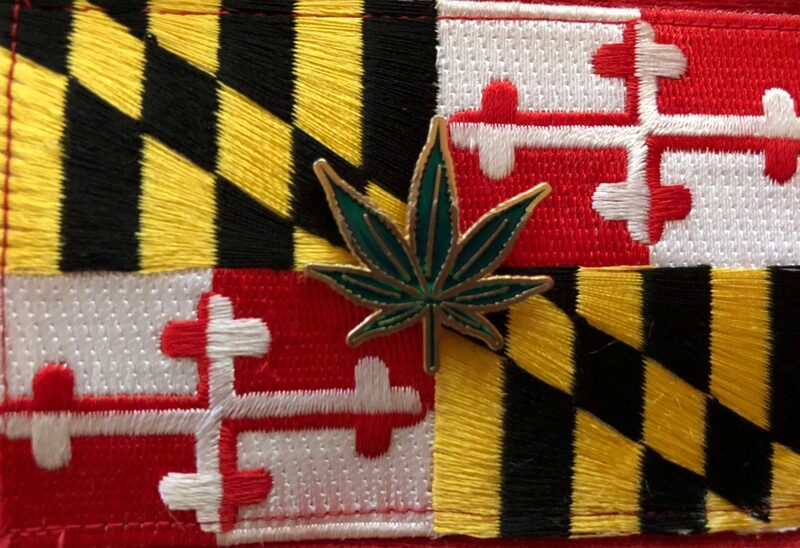 Maryland Marijuana Justice is an organization dedicated to fighting for cannabis users, growers, and their families in the Free State.